The books identifies and discusses in detail “gray zone” operations, namely, operations short of the use of lethal force but empowered by a well worked out chain of maritime power elements up to and including the presence of combat forces. What if the US and its key allies are not willing or able to respond and the Chinese expand their approach over time? We can not assume that as Chinese look at the world or read RAND studies that they will not believe that actually striking a US or allied warship might not be a useful part of their evolving approach to crisis management. 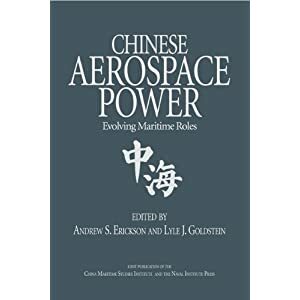 Andrew S. Erickson and Ryan D. Martinson, China’s Maritime Gray Zone Operations(Annapolis, MD: Naval Institute Press, 2019). Andrew S. Erickson and Ryan D. Martinson, “Introduction: ‘War Without Gun Smoke’—China’s Paranaval Challenge in the Maritime Gray Zone,” 1-11. Joshua Hickey, Andrew S. Erickson, and Henry Holst, “China Maritime Law Enforcement Surface Platforms: Order of Battle, Capabilities, and Trends,” 108-132. Andrew S. Erickson and Ryan D. Martinson, “Conclusion: Options for the Definitive Use of U.S. Sea Power in the Gray Zone,” 291-301. China’s maritime “gray zone” operations represent a new challenge for the U.S. Navy and the sea services of our allies, partners, and friends in maritime East Asia. There, Beijing is waging operations conducted to alter the status quo without resorting to war, an approach that some Chinese sources term “War without Gun Smoke” (一场没有硝烟的战争). Already winning in important areas, China could gain far more if left unchecked. One of China’s greatest advantages thus far has been foreign difficulty in understanding the situation, let alone determining an effective response. With contributions from some of the world’s leading subject matter experts, this volume aims to close that gap by explaining the forces and doctrines driving China’s paranaval expansion. 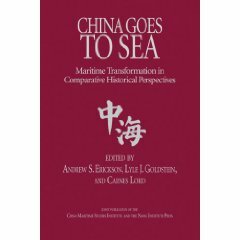 The book therefore covers in-depth China’s major maritime forces beyond core gray-hulled Navy units, with particular focus on China’s second and third sea forces: the “white-hulled” Coast Guard and “blue-hulled” Maritime Militia. Increasingly, these paranaval forces are on the frontlines of China’s seaward expansion, operating in the “gray zone” between war and peace: where the greatest action is. Beijing works constantly in peacetime (and possibly in crises short of major combat operations with the United States) to “win without fighting” and thereby to further its unresolved land feature and maritime claims in the Near Seas (Yellow, East, and South China Seas). There is an urgent need for greater understanding of this vital yet under-explored topic: this book points the way. 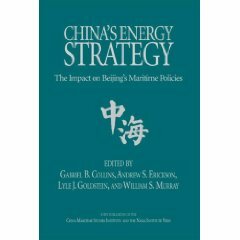 As Washington’s new National Security Strategy emphasizes, China is engaged in continuous competition with the United States–neither fully “at peace” nor “at war.” Per this national guidance, the U.S. Navy must raise its competitive game to meet that challenge, in part by addressing the potential risks to American interests and values posed by all three Chinese sea forces: the Navy, Coast Guard, and Maritime Militia. In terms of ship numbers, each is the largest of its type in the world. China’s maritime “gray zone” operations represent a new challenge for the U.S. Navy and the sea services of our allies, partners, and friends in maritime East Asia. There, Beijing is waging what some Chinese sources term a “war without gunsmoke.” One of China’s greatest advantages thus far is the difficulty for foreign powers to understand the situation, let alone determine an effective response. With contributions from some of the world’s leading subject matter experts, this volume aims to close that gap by explaining the forces and doctrines driving China’s paranaval expansion. This book covers China’s major maritime forces beyond core gray-hulled Navy units, with particular focus on China’s second and third sea forces: the “white-hulled” Coast Guard and “blue-hulled” Maritime Militia. Increasingly, these paranaval forces are on the frontlines of China’s seaward expansion, operating in the “gray zone” between war and peace. Chinese behavior at sea harms U.S. interests both directly and indirectly. As a seafaring state, America demands maximal access to the world’s oceans within the constraints of international law. Actions that impede that access violate America’s maritime freedom. China harms U.S. interests indirectly when it violates the legitimate maritime freedom and maritime rights of its allies and partners. Such acts devalue Washington’s commitments to its friends and shake the foundations of our alliance system–the true source of America’s global influence. Moreover, China’s efforts to curtail and infringe upon both the maritime freedom of all nations including the United States and the maritime rights of its neighbors undermines the rules-based international order. This volume concludes by examining America’s response to Beiing’s gray zone coercion and suggests what U.S. policymakers can do to counter it. 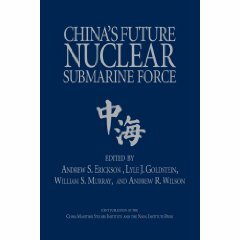 Andrew S. Erickson is professor of strategy in the Naval War College (NWC)’s China Maritime Studies Institute (CMSI) and an associate in research at Harvard’s Fairbank Center. The recipient of NWC’s inaugural Research Excellence Award, he runs the China studies websitewww.andrewerickson.com. Ryan D. Martinson is an assistant professor at CMSI. He holds a master’s degree from the Fletcher School of Law and Diplomacy at Tufts University and a bachelor’s of science from Union College. Martinson has also studied at Fudan University, the Beijing Language and Culture University, and the Hopkins-Nanjing Center. Morgan Clemens is a Research Analyst at SOS International LLC. Peter A. Dutton, a retired U.S. Navy Commander and judge advocate, is Professor and Director at CMSI. Matthew Funaiole is a fellow with the China Power Project at the Center for Strategic and International Studies (CSIS). Bonnie S. Glaser is senior adviser for Asia and director of CSIS’s China Power Project. Joshua Hickey is a senior analyst for the Department of the Navy with over fifteen years’ subject matter experience. Henry Holst is a junior analyst for the Department of the Navy. Conor M. Kennedy is a research associate at CMSI. Adam P. Liff is an assistant professor at Indiana University’s School of Global and International Studies and an associate in research at Harvard’s Reischauer Institute of Japanese Studies. Michael Mazarr is a senior political scientist and associate director of the strategy and doctrine program at the RAND Corporation’s Arroyo Center. Barney Moreland, a retired Captain who served as the first U.S. Coast Guard Liaison Officer in Beijing, is the Senior Intelligence Analyst at U.S. Pacific Fleet Headquarters. Lyle J. Morris is a senior policy analyst at RAND. Cdr. Jonathan G. Odom, USN, is a judge advocate and military professor at the Asia-Pacific Center for Security Studies. Michael B. Petersen is the founding director Russia Maritime Studies Institute and an associate professor in the Center for Naval Warfare Studies at NWC. Capt. Dale C. Rielage, USN, is Director for Intelligence and Information Operations, U.S. Pacific Fleet. Mark A. Stokes, a retired U.S. Air Force Lieutenant Colonel, is Executive Director of the Project 2049 Institute. Austin M. Strange is a Ph.D. candidate in Harvard University’s Government Department. Admiral Tomohisa Takei, Japan Maritime Self-Defense Force (JMSDF) (Ret.) concluded his thirty-seven-year naval career as the JMSDF’s 32nd Chief of Staff, and is now a professor and distinguished international fellow at NWC. Michael Weber a foreign affairs analyst and Presidential Management Fellow at the Congressional Research Service. Capt. Katsuya Yamamoto, JMSDF, who served as a Defense/Naval Attaché in Beijing, is a liaison officer and international military professor at NWC. Erickson: The PAFMM is a state-organized, developed, and controlled force operating under a direct military chain of command.This component of China’s armed forces is locally supported, but answers to China’s centralized military bureaucracy, headed by Commander-in-Chief Xi Jinping himself. While most retain day jobs, militiamen are organized into military units and receive military training, sometimes from China’s Navy. In recent years, there has been a push to professionalize the PAFMM. The Sansha City Maritime Militia, headquartered on Woody Island in the Paracels, is the model for a professional militia force. It is outfitted with seven dozen large new ships that resemble fishing trawlers but are actually purpose-built for gray zone operations. Lacking fishing responsibilities, personnel train for manifold peacetime and wartime contingencies, including with light arms, and deploy regularly to disputed South China Sea areas, even during fishing moratoriums. Erickson: The U.S. Navy has also been targeted by China’s gray zone forces. U.S. Navy special mission ships such as the USNSBowditch, USNS Impeccable, USNS Effective, USNS Victorious, and USNS Howard O. Lorenzen have been shadowed and harassed, victims of China’s erratically-enforced opposition to foreign naval activities within its claimed EEZ. To be sure, China’s gray zone campaign is largely targeted at other territorial claimants, but two of these countries—Japan and the Philippines—are U.S. allies. Washington’s robust alliance with Tokyo, in particular, is critical to American presence and peace preservation in a vital but vulnerable region. Chinese bullying behavior threatens to undermine these alliances and could trigger direct American military intervention if China’s gray zone operations were to escalate into armed attack. Moreover, as Jonathan Odom points out in his chapter, China’s activities violate important international conventions and norms. This means they are weakening key pillars of the international maritime order, and with it the global system on which peace and prosperity depend. In many cases China’s gray zone forces are used to assert maritime claims that have no basis in international law. Summary: this article proposes a new set of tools for countering China’s maritime gray zone expansion.